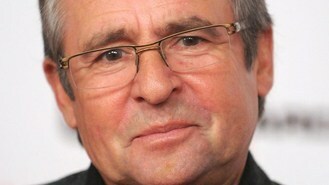 Tributes have been paid to Monkees lead singer Davy Jones, who died of a heart attack at the age of 66. The Manchester-born star, who lived in Hollywood, Florida, was taken to hospital suffering from a cardiac arrest, but could not be resuscitated. Davy found fame as the frontman of the 60s group The Monkees, who had nine top 40 hits including I'm A Believer, Daydream Believer and Last Train To Clarksville. The star's former bandmate Peter Tork said in a statement on Facebook: "It is with great sadness that I reflect on the sudden passing of my long-time friend and fellow-adventurer, David Jones. "His talent will be much missed; his gifts will be with us always. My deepest sympathy to Jessica and the rest of his family. Adios, to the Manchester Cowboy. Peace and love, Peter T."
On the social networking site, fellow Monkees star Mike Nesmith said: "So many lovely and heartfelt messages of condolence and sympathy, I don't know what to say, except my sincere thank you to all. I share and appreciate your feelings." He added: "David's spirit and soul live well in my heart, among all the lovely people, who remember with me the good times, and the healing times, that were created for so many, including us. I have fond memories. I wish him safe travels." Jones, who was best known as the frontman of the band put together to star in their own TV show, had an early start in showbusiness when he appeared as Ena Sharples' grandson in Coronation Street. He also appeared in Z Cars before leaving showbusiness to train as a jockey but came back to acting, playing the Artful Dodger in a stage production of Oliver! Sir Paul McCartney's son is to follow in his father's footsteps by playing Liverpool's Cavern Club - where the Beatles made their name. Veteran crooner Engelbert Humperdinck, whose last top 10 hit was 42 years ago, has been chosen as the UK entry for the Eurovision Song Contest. The Wanted have become the highest charting UK boy band in the US charts, beating the likes of Take That. The Cure, Sigur Ros and Elbow will headline this year's Electric Picnic festival. Happy Mondays star Bez has revealed he will not be twisting his melon or anything else during the band's reunion tour - because his hips cannot handle it. Justin Bieber has finally turned 18 - and marked the occasion by revealing the name of his new single - Boyfriend. Johnny Marr has said he'd love to do another film score for Christopher Nolan. Kaiser Chiefs star Ricky Wilson is to join the stage show of War Of The Worlds. Labrinth has revealed that he's not completely happy with his debut album.